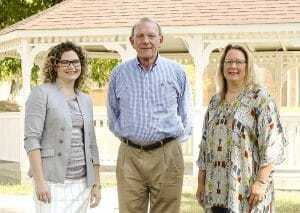 The Southern Arkansas University Foundation has announced the addition of three SAU alumni members to the SAU Foundation Board of Governors. The new members are JoBeth Glass, Larry Henderson and Jennifer Pierce. They reflect a diverse range of experiences and careers, including an attorney, a CPA, and an insurance business owner. They were added to the Board on August 10, 2018. JoBeth Glass is a 1985 graduate of SAU with a Bachelor of Accounting degree. She is the owner and an insurance agent at Glass Insurance Agency, LLC. She and her husband, Wayne, also an SAU 1985 graduate, established the business in 2001. They live in Prescott, Arkansas. Larry Henderson is A 1971 graduate of SAU with a Bachelor of Business Administration in Accounting degree. He is a partner in Wilf & Henderson, P.C., and is a CPA licensed in Arkansas and Texas. He is involved in providing accounting and auditing services to business entities, non-profit and governmental entities, financial institutions, charitable organizations, and a variety of other organizations. He and his wife, Cathy, live in Texarkana, Texas. Jennifer Pierce is a 1998 graduate of SAU with a Bachelor of Accounting degree. She is an attorney with Mitchell, Williams, Selig, Gates & Woodyard, P.L.L.C. where she advises non-profit and tax-exempt organizations on formation, planning and tax issues. She lives in Little Rock, Arkansas. Board members serve for a term of three years and may serve up to two terms. Governors completing their terms of service were Mark Dixon, MD, a physician; Beth Weldon, VP of Marketing for First Financial Bank; and Sherry Phillips-Dillender, a corporate recruiter for TPI. The SAU Foundation is an independent, not-for-profit 501(c)(3) entity organized to assist and coordinate in raising and managing funds and resources on behalf of Southern Arkansas University to be used exclusively in furthering the literacy, scientific and educational purposes of the University. It is the responsibility of the Board of Directors to manage and disburse assets prudently within a policy that encourages the enhancement of the resources of the Foundation.